In a large bowl, whisk together melted butter, sugars, and cocoa until smooth. Add salt and flour and stir until combined. Spread evenly into a greased 9x13" pan and bake 20 minutes to until tester inserted into the center of the pan comes out mostly clean with fudgy crumbs. 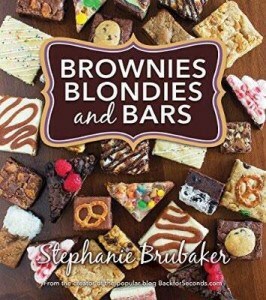 Immediately sprinkle graham crackers, marshmallows, and chocolate evenly over the brownies. Turn the oven to broil, and return pan to oven for about 2 minutes. Watch closely and remove as soon as marshmallows are browned to your liking. These are our new favorite bars! My crust fell apart, so next time I will bake it a little first. 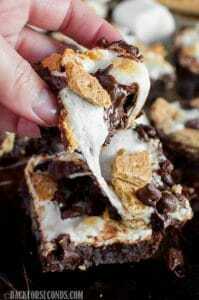 I also added some marshmallows on top that were wonderfully crunchy! Thanks for a great recipe! Perfect for this crazy ice/snow in the south!